Most Christians have heard of Reformed theology. Most think they have a good handle on it. But experience has shown me that few really know it as well as they think they do. And that goes for people who claim to be Reformed as much as those who do not. This cannot be said of R.C. Sproul. Not only does Sproul have an amazingly broad but detailed grasp of Reformed theology, but he has also been gifted with the ability to explain complex theology in a way that is both interesting and understandable. That is no common gift. 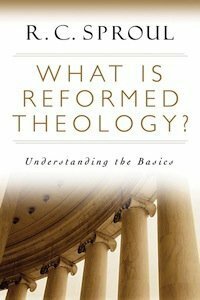 What Is Reformed Theology?, which was formerly published under the more obscure title Grace Unknown, is Sproul’s attempt to help others understand the basics of Reformed theology. Surprisingly, only fifty percent of the book is dedicated to a discussion of the Five Points. The first half provides the foundations for Reformed theology which so many similar books have overlooked. Without first understanding the foundations, the reader will have a much more difficult time understanding the Five Points. And so Sproul begins by discussing God’s sovereignty; the importance of Scripture as the only infallible rule for our faith; faith alone; Christ’s threefold office of Prophet, Priest and King; and Covenant Theology. Each of these is explained in detail, yet with sufficient precision that they are simple enough to understand. The second half of the book is an examination of the Five Points of Calvinism: Total Depravity, Unconditional Election, Limited Atonement, Irresistible Grace and Perseverence of the Saints. Like many other theologians, Sproul has come to see that this acrostic, while helpful, does as much to obscure the points as it does to clarify them. Sproul prefers to speak of Radical Corruption, Sovereign Choice, Purposeful Atonement, Effective Calling and Preservation of the Saints. These terms do much to clarify common misunderstandings. For example, it is easy to assume from the term “Total Depravity” that Reformed Christians believe humans are exactly as evil and depraived as they could be – their depravity is total. Yet Reformed theology teaches that while humans are corrupt, and even radically corrupt, they are so in extent, not in degree. Depravity extends to every aspect of the person, but thanks to the grace of God the degree may be more or less. I must note that as helpful as this book is, it is not one to give your unsaved friend. Sproul assumes knowledge of the Bible and of Christian theology. Even a young Christian may have a difficult time wrestling with some of the terms and concepts. It is ideal, though, for the Reformed believer who is seeking to clarify his beliefs or for the non-Reformed Christian who wants to understand what Reformed theology is all about. Accessible, biblical and educational, this is one of the best books I have read on the subject, and it just so happens that I have read quite a few. Sproul has done Christianity a service by so clearly articulating the foundations and beliefs of Reformed theology. Needless to say, I give it my recommendation. You can’t do much better than R.C. Sproul. Sproul does a good job at making the book accessible. While many books cover this subject, few pay attention to the foundations. A book like this helps clarify the Gospel message. A great book that shows R.C. Sproul at his best, defending the purity of the Gospel.